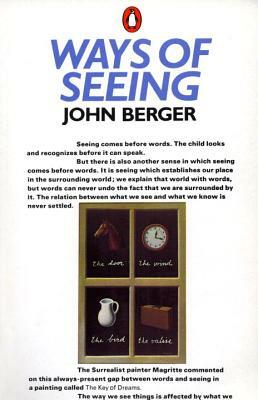 John Berger's Ways of Seeing is one of the most stimulating and the most influential books on art in any language. First published in 1972, it was based on the BBC television series about which the Sunday Times critic commented: "This is an eye-opener in more ways than one: by concentrating on how we look at paintings . . . he will almost certainly change the way you look at pictures." By now he has. Storyteller, novelist, essayist, screenwriter, dramatist and critic, John Berger (1926-2017) was one of the most internationally influential writers of the last fifty years. His many books include Ways of Seeing; the fiction trilogy Into Their Labours; Here Is Where We Meet; the Booker Prize–winning novel G; Hold Everything Dear; the Man Booker–longlisted From A to X; and A Seventh Man.